Dr. Albert Mohler Standing Together with the Sun and Moon People Cult (Mormons)!? 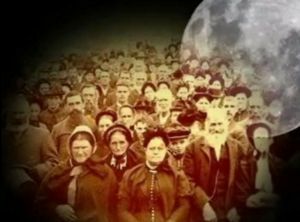 Brigham Young co-founder of the Mormon Cult once said, “Who can tell us of the inhabitants of this little planet that shines of an evening called the moon? …when you inquire about the inhabitants of that sphere you find that the most learned are as ignorant in regard to them as the ignorant of their fellows. So it is in regard to the inhabitants of the sun. Do you think it is inhabited? I rather think it is. Do you think there is any life there? No question of it; it was not made in vain,” (Mormon – Journal of Discourses – quote more fully provided at end of article with source). We as Bible believing Christians have no liberty or license to go and seek some common ground and seek to stand together with the likes of Mormons or any other false religion or cult – because they have openly refused to listen and believe the Gospel. We continue telling them the truth of the cross of Christ and openly denounce their gospel of the men Joseph Smith and Brigham Young as the fraud it is less we cause others to fall especially new or unlearned Christians, we MUST explain the differences! Their god is not God! Their Jesus is NOT our Jesus – to do less we have not loved the Mormon, we have actually hated their eternal soul helping them on to the way to Hell and damnation that is truly the issue of eternal significance!!! The Bible not Dr. Albert Mohler has the last word in this matter! Taking a stand for our rights in this country is one thing but we have as much in common Mormons as a man on the Moon! If Dr. Mohler still believes this then why you ask is he participating in these interfaith meetings? My belief is, Dr. Mohler has fallen into a trap that even this writer can relate too – PRIDE in intellect! While seeking to win these lost cult members he has accepted their invitation on a good moral cause but is unwittingly duped into what others like him Dr. Land, Dr. Wood and Dr. Zacharias have done. Their commendations to the Mormon fails to include what the Apostle Paul would have said next – their CONDEMNATION for perverting the Gospel Galatians 1:6-9. The Sun and Moon cult is the Mormon cult I opened with words straight from one of Mormon’s master deceivers Brigham Young and now in my opinion we have someone dubbed as one of today’s greatest Evangelical Christian intellectuals Dr. Albert Mohler standing as a pawn of the ever manipulative Mormon cult. My belief is Dr. Mohler is being played the fool on a fool’s errand, not giving a clear Gospel message but one that is sure to be used by the cult, by these men and women masquerading as God’s people when they are not! The Bible shows Dr. Mohler to be in complicity by associating with them, by being continual friends with them – it is inexcusable and needs open condemnation by all who hold the Bible to be true. We can rationalize ourselves into an intellectual corner against a wall and that is where I see Dr. Albert Mohler today, I have told him I am praying for him and indeed I am, there is nothing our true God cannot do including a reset of his position with Mormons (Sun and Moon People cult) that I have said previously is an egregious error and that belief stands. 2 Corinthians 11:1-19 [bold emphasis mine] 1 Would to God ye could bear with me a little in my folly: and indeed bear with me. 2 For I am jealous over you with godly jealousy: for I have espoused you to one husband, that I may present you as a chaste virgin to Christ. 3 But I fear, lest by any means, as the serpent beguiled Eve through his subtilty, so your minds should be corrupted from the simplicity that is in Christ. 4 For if he that cometh preacheth another Jesus, whom we have not preached, or if ye receive another spirit, which ye have not received, or another gospel, which ye have not accepted, ye might well bear with him. 5 For I suppose I was not a whit behind the very chiefest apostles. 6 But though I be rude in speech, yet not in knowledge; but we have been throughly made manifest among you in all things. 7 Have I committed an offence in abasing myself that ye might be exalted, because I have preached to you the gospel of God freely? 8 I robbed other churches, taking wages of them, to do you service. 9 And when I was present with you, and wanted, I was chargeable to no man: for that which was lacking to me the brethren which came from Macedonia supplied: and in all things I have kept myself from being burdensome unto you, and so will I keep myself. 10 As the truth of Christ is in me, no man shall stop me of this boasting in the regions of Achaia. 11 Wherefore? because I love you not? God knoweth. 12 But what I do, that I will do, that I may cut off occasion from them which desire occasion; that wherein they glory, they may be found even as we. 13 For such are false apostles, deceitful workers, transforming themselves into the apostles of Christ. 14 And no marvel; for Satan himself is transformed into an angel of light. 15 Therefore it is no great thing if his ministers also be transformed as the ministers of righteousness; whose end shall be according to their works. 16 I say again, Let no man think me a fool; if otherwise, yet as a fool receive me, that I may boast myself a little. 17 That which I speak, I speak it not after the Lord, but as it were foolishly, in this confidence of boasting. 18 Seeing that many glory after the flesh, I will glory also. 19 For ye suffer fools gladly, seeing ye yourselves are wise. 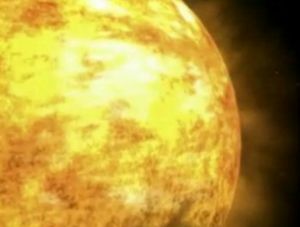 The Sun Inhabited According to Brigham Young! I will tell you who the real fanatics are: they are they who adopt false principles and ideas as facts, and try to establish a superstructure upon a false foundation. They are the fanatics; and however ardent and zealous they may be, they may reason or argue on false premises till doomsday, and the result will be false. If our religion is of this character we want to know it; we would like to find a philosopher who can prove it to us. We are called ignorant; so we are: but what of it? Are not all ignorant? I rather think so. Who can tell us of the inhabitants of this little planet that shines of an evening, called the moon? When we view its face we may see what is termed “the man in the moon,” and what some philosophers declare are the shadows of mountains. But these sayings are very vague, and amount to nothing; and when you inquire about the inhabitants of that sphere you find that the most learned are as ignorant in regard to them as the most ignorant of their fellows. So it is with regard to the inhabitants of the sun. Do you think it is inhabited? I rather think it is. Do you think there is any life there? No question of it; it was not made in vain. It was made to give light to those who dwell upon it, and to other planets; and so will this earth when it is celestialized. Every planet in its first rude, organic state receives not the glory of God upon it, but is opaque; but when celestialized, every planet that God brings into existence is a body of light, but not till then. Christ is the light of this planet. God gives light to our eyes. Did you ever think who gave you the power of seeing? Who organized these little globules in our heads, and formed the nerves running to the brain, and gave us the power of distinguishing a circle from a square, an upright from a level, large from small, white from black, brown from gray, and so on? Did you acquire this faculty by your own power? Did any of you impart this power to me or I to you? Not at all. Then where did we get it from? From a superior Being. When I think of these few little things with regard to the organization of the earth and the people of the earth, how curious and how singular it is! And yet how harmonious and beautiful are Nature’s laws! And the work of God goes forward, and who can hinder it, or who can stay His hand now that He has commenced His kingdom? This brings us right back to this Gospel. God has commenced His kingdom on the earth. How intricate it is, and how difficult for a man to understand if he be not enlightened by the Spirit of God! How can we understand it? O, we have nothing to do but to humble ourselves and get the spirit of the Lord by being born of the water and of the Spirit; then we can enter into it. How is it if we are not born of the Spirit? Can the natural man behold the things of God? He cannot, for they are discerned spiritually—by the Spirit of the Almighty, and if we have not this Spirit within us we cannot understand the things of God. But the most simple thing in the world to understand is the work of the Lord. What shall we do? Divest ourselves of great, big “Mr. I.” Let him fall at the feet of good sound reason. What next? Humble ourselves before the Lord and receive the truth as He has revealed it, then we will be born of the Spirit. Then if we wish further blessings, be born of the water; then, if we wish further blessings, receive the laying on of hands for the reception of the Holy Ghost; and if we wish still further blessings, live by every word that proceeds out of His mouth, that is spoken from the heavens, then things will be brought to our remembrance by the Comforter that Jesus promised his disciples, which should show them things past, present, and to come. Thanks for sharing your concerns. While I have utmost respect for the men you mention below, I too wonder if their appearance at Mormon venues is actually helping or hindering evangelism efforts. Thirty five + years of dealing with Mormonism tells me the LDS Church does nothing unless it’s agenda can be furthered. As far as I understand, the topics they have discussed have been more about religious freedom, etc., and not doctrinal truth; so this, I think, explains why we probably can’t expect anything to be said that will cause a Mormon to seriously reconsider their Mormonism. If I was asked who benefits most from these meetings I would have to say the Mormons, hands down. If they didn’t, the Mormons wouldn’t do it. I wish men of their caliber would sit down with those us who labor everyday in Utah, but so far, that has not happened. November 4, 2013 (Satire of Mormon Leadership) In the “Fairmontism” Board Meeting November 2nd, 2013 – Interfaith Strategy? October 17, 2013 Southern Baptist Leader Dr. R. Albert Mohler to “Dialogue” with Mormons!? September 29, 2013 National Association of Evangelicals (NAE) Or “National Association of Neo-Evangelicals”? September 25, 2013 Charismania Gone Nuts – AOG Together with LDS! Couldn’t help but think of this message when reading today that Dr. Mohler is listed as one participating in a (future) summit to be held in order to “lead the new generation into truth” regarding Biblical Inerrancy. The summit is being headed by John MacArthur.